I like how dynamic it is. Being able to easily move around content from date to date is helpful to our program as we are trying to keep a steady cadence of posts going, requiring us to move stuff around. And I like that all the pertinent info for each post, the content itself, publish status, comments, and other important relevant campaign details follow each piece of content within the calendar. I do not like that I need to re-sign in to the calendar every day. If there was a way to include the Divvy calendar into my single sign in process at work, that would be helpful. I'm in that calendar every day and it's a small pain to have to re-sign in every day. Also, being able to easily pull out quarterly/yearly metrics related to campaigns tied to data within the calendar would be helpful. We are able to keep better track of our various campaigns in one place, quickly seeing what is published and what is not. This has then driven us be able to focus better on the cadence of our posting. And it's a great tool for quarterly and yearly tabulation of how our program is doing. The facts are right there. "Lots of potential but clunky"
I like the way it organizes all our content. You can sort by deadline, campaign, platform, content type, etc. so it's very easy to pull different types of content. The number of emails it sends to me. I understand this is a setting that can be adjusted, but it's not clear which types of emails would be the most useful to get. It seems there must be a way to, say, if five events occur on a project within 10 minutes of each other, blend them all into one email and say "You have updates on X project," which would be easier to digest. As an agency, every account has different processes and ways of doing things and this has helped us all get on the same page. "Divvy is great for small - medium sized teams." I love that in Divvy I can collaborate with members of my team. We use it mainly for social media purposes and planning/scheduling when we will post on which platform. Each platform has its own calendar. So it works really well that way as far as collaboration goes. I also like the difference between campaigns and calendar items. Campaigns make it much easier to see events that are taking place over the course of 2+ days instead of having a bunch of items listed for all the days. I don't like that there isn't SLACK integration or some other form of notification rather than email. Although you can turn email notifications off or customize what your'e receiving email notifications for, it still isn't very convenient where having a SLACK integration would be for team collaboration. I also wish there was a phone app. I would recommend this to Divvy for anyone who wants to better collaborate with their team. We are solving so many business problems with Divvy! One of our biggest issues was knowing what we were going to post on which platform and if it would tie together with what other members of our team were planning for their platforms (we all work remotely). It also has helped us plan events in advance and get an overview of what our social media schedules look like. Divvy has also helped us put all of our business events in one place and eliminated many Google docs by doing so. "Divvy HQ Has Made Our Team So Efficient"
Being able to see multiple communication channels all at once has helped us plan so much better. Being able to get an idea of the full content plan across social media, our digital displays, newsletters, emails and seeing a full "campaign" has been a huge help in keeping us organized. I also love being able to easily move deadlines without issue. Before we used spreadsheets which were cumbersome and usually wrong! I wish Divvy spoke to Constant Contact and that it had a photo library component where we could search for stock photos we have used before or possibly a library of photos to choose from. Would love to see outlook calendar integration as well. This is a great solution for those who feel scattered. if it's hard for you to see your full content plan without opening several windows, then this is a great product for you. I can't tell you how much more organized our team is. At a glance, quick reference and great documentation of past campaigns, I love this product! Divvy has been able to streamline our content efforts, specifically with giving us a sort of task list by seeing what all needs to be communicated on a daily basis. Before we were checking 3 different spreadsheets. The calendar feature has made the process so much easier especially for our intern. It causes less confusion about what needs to be posted when and documents our communications much more efficiently. Love the search feature! I really like the way that DivvyHQ is set up and the user interface overall. It is easy to navigate and I appreciate that you can filter calendar views by content type because that makes it easy to knock out any clutter when you just need to view the upcoming deadlines for a specific platform. I also love the search function on DivvyHQ—it works really well and I am always able to find exactly what I'm looking for in a matter of minutes. The @comments and replies system is also a great way to talk to specific people within the platform. I think it was a little overwhelming at first, only because there were so many options and views; however, like all things, I attribute that to simply needing to get familiar with the tool via use and experience. Once I started working within DivvyHQ it didn't take long to figure things out. One minor thing—I wish I could see the copy in the content tab without opening it up in editor. DivvyHQ has been a great way for my team to work with our client on content production, despite the fact that we are not in the same office, or even the same city. We can quickly communicate with each other in the platform and we are able to keep everything organized and running smoothly. It's also provided us with a great way to log and save brainstorming ideas and thought-starters for future content planning. "Flexible Platform Great for Planning Content"
Very customizable so that you can mold your calendars and processes to fit how you need. Great for campaign planning and storing ideas and deadlines in advance. They also have some helpful webinars that the offer several times a month including new user training as well as advice on content planning. There was a small bug that took them about a month to fix which was somewhat frustrating but they were at least communicative and responsive when I inquired about it several times. The interface could use some stylistic upgrades but it is definitely more built for content planning than other similar platforms like Asana and Basecamp which are more to-do list oriented. It's been great so far, I would recommend a trial of the product and it also seems to make sense to purchase via the annual contract rather than month to month. Organizing our content months in advance by specific platform and keeping deadlines all in one centralized location. Haven't missed a deadline yet! "DivvyHQ Helped Us Clear the Clutter -- and Stop the Emails "
At my company, we have a lengthy approvals/review process. Now, instead of keeping track of many email threads or spreadsheets, we use DivvyHQ to manage our workflow and content calendar. A lot of how well it works depends on how your Divvy administrator sets up the customizable workflows and calendars. When set up well, it automates much of the content review process, updates multiple calendars, and sends any necessary notifications regarding deadlines or content changes. I wish DivvyHQ had an app, because the site itself is not at all mobile-friendly -- which can be frustrating when we have executive on the go. If your department or company is looking to organize your content calendar and automate workflow, DivvyHQ is worth checking out. It also offers a scheduling tool for social, but we have had better luck with other tools, because the way it's set up on divvy does not work well or the volume of posts we put out. DivvyHQ has revolutionized the way my department (and soon, our entire company) approaches our review process. It has made us more organized, and given us more time to spend actually creating content instead of managing the review process. "Great for Organizing Content "
I like that I can see months of content planned out in advance. No excel sheet! It makes it very easy to rearrange calendars and to create a plan that easily flows into the following months. I also like that it allows my client to come in and comment on things as needed, rather than her having to email me questions or vice versa. I don't like that there isn't a quick way to edit the dates or titles of campaigns. Our campaigns can be shifted as much as our content, so going into the campaigns sandbox for each one can become very time-consuming. The only other thing our team gets frustrated with is that an item's tasks aren't marked as completed when the item is published, this over time can create a backlog of items that slow down the platform/load time. We work with multiple agencies to create content, DivvyHQ easily lets us put all of that together to make sure nothing is overlapping and that we always have the right amount of content to share. DivvyHQ is a really useful editorial calendaring tool for our employee communications team. It enables us to quickly organise and reorganise upcoming communications, compare with other internal teams and get an at-a-glance view of campaign statuses. There have been a few occasional, minor unexpected behaviours on the platform but these are rectified by the support team, who are very responsive. DivvyHQ enabled us to introduce flexible editorial calendars for the first time in our new team. It enables better collaboration with other communicators and a more effective communication experience for our audience. "Has helped with team communication"
We love that DivvyHQ allows for our team, who is in office as well as on location/working remotely, communicate better. We have a blogging team as well as a video production team and it allows us to provide very detailed information so there are few questions when the project begins. Also having the ability to have reviewers is great! The owner of the company doesn't always want to be super involved in all pieces of content but now instead of asking us individually what we're working on, he can easily hop on and view for himself. So far there isn't too much that we don't like. Sometimes the calendar doesn't allow us to change dates very easily (or it will move all of the tasks to one day instead of keeping them spread out on separate days) so sometimes it's a little buggy. I used to have issues with the parking lot feature but that has recently been updated so it's easier to use now and bring into the calendar function. Sometimes, again, it's a little buggy but after a few tries it will navigate over. If you are looking for a platform to have creative teams work on multiple projects at a time, this is a great solution. We looked into about 12 other platforms and this is the one we chose because of the way you can set it up for your customers/personas/channels to distribute to, etc. Team communication. It has decreased how many weekly meetings we need to have to hold because much of the information can be found in the projects themselves including where to post to, who the audience is that it needs to be written/produced for, etc. It has also really helped us schedule our content better from who is working on what, how much time it will take and when things will be scheduled to launch. Before, it was a bit of a chaotic mess as to when things would be published, who was doing what and what we could expect as deadlines. Now I, as the administrator, can set deadlines and hold my teammates accountable. I can see each day what has been published, what is past do and who is doing what next to make sure that we all keep on track. I like the calendar view with all of my tasks and deliverables. This view is the easiest way to keep track of my day to day tasks and lets me easily see what is coming up next. I do not like that there is not a notification center in Divvy. This is something that stresses me out because I am concerned I will miss a notification and not be able to review something in time. I do get my notifications sent to my email-- but this is only if I am tagged in the comment. I am on my email a lot less and working through divvy HQ gives me one base platform where calendars can go into. I like the comments function that allows us to track the production process for each content item, and keep all team members on the same page. The inability to change the names of categories on the tool. For instance, we would like to be able to change 'Deadline' to 'Production Deadline'. Divvy doesn't have the functionality to customise category names. If you have a big team, and a large slate of content items, this tool is perfect to help pull your team together. The biggest benefit is the ability to pull together a diverse team, literally spread across the globe, into being on the same page and working on numerous content items at the same time. "Too many bugs to be launched"
I like how you can tag people within the software. When a user is deleted all of their data is deleted with them. That is terrible for archiving purposes are for ensuring that a new employee is on-boarded properly. The scheduling feature is equally as terrible, as the time codes given for each step of a process can give you completely wrong turnaround dates. When tagging someone or assigning them to a step within a task list, sometimes the timing of the feature is completely off, which is odd since assigning someone is something completely separate from the scheduling time coded feature. Seriously consider this as this is an expensive software with tons of bugs. Divvy helps us to request content from different groups. We initially got the software to ensure that we are getting everything completed and nothing falls through the cracks, but the more we use the software the more bugs we find. It is nice to be able to tag people, but with so many bugs, I honestly don't know if they will even receive the notification. Our company is a small to medium sized one, and we have to tell Divvy to fi bugs that we are constantly finding and then it takes weeks if not months for them to fix them. "Divvy has features to manage your processes and workflows"
By using Divvy I can easily check the current status of all the Projects which my department has been working on and also the one’s which are associated to me directly through Clients and vendors. So, I have an easy way of sending urgent responses needed from me through Divvy’s platform across various departments. While I am sending then messages, I also have an option to attach relevant files along with it and this process is flawless. The inclusive calendar in Divvy allows me to see every piece of content present in it on a single screen. There are filters available in the inclusive calendar to quickly customize the way I want to view my content. It lacks in some of its features where there is scope of improvement like when I want to edit or modify a content, I am not sure if anyone else is also working on the same content and thus my changes or the other person’s changes might not get saved as there is no locking when modifying a content. This is a problem when we have around 1000 contents and it is not possible to assign a separate one individually to a single person. Divvy has been designed to manage a complete project from workflows to processes, but it is not suitable for huge amount of content and is recommended for organizations having limited amount of content. After using Divvy for a while now, I can surely say that it has made the work distribution to be streamlined among the co-workers. The existing workflows for the projects have been improved and they have customized as per our needs and requirements for different processes within the projects. "Good Tool for Content-Heavy Businesses"
DivvyHQ has really solid workflow capabilities for companies who are generating a ton of content. This tools wasn't quite right for my team's use, as we needed more of a task-management tool for emails, campaigns, etc. vs. strict content. Definitely ask for a demo around the workflow set-up, and make sure your entire team using the product is on the call. We had some adoption issues with our team (it was a change management issue more than anything), so I would suggest making sure everyone understands the platform before your go-live. DivvyHQ can help create custom workflows that encourage teamwork and ensure your content goes through the right process before being published. It creates accountability and allows you to visualize your content to understand where you are spending your time and effort. I like that if I have a question or comment, I get a response very quickly. While I think the product itself has room for improvement, I'm happy to stick with them along the way because they are about the customer service. I don't like that there isn't a mobile app, nor does it work on my phone really. If I didn't sit at my desk 95% of the time, I'd have a hard time using Divvy. I don't use all the capabilities of Divvy. I don't use the Ideas section or even campaigns or any of that. I use it for the visual, centralized calendar. A lot of features, very flexible and easy to use. Feature-rich software like this is bound to be complex, so the learning curve for using Divvy is a little steep once you get past the basics. Planning and sharing content calendar. It's helped various teams know what's coming up and also creates a great archive of the content. "Divvy Up the Workload "
If you're working on a team that produces content, then you need a tool to manage publication schedules. Divvy makes it easy to follow each piece of content as it moves through the publication process - from ideas (scheduled in a "parking lot") to managing versions of drafts and sharing the item with designers and specialists. You can message other users, tag/flag content for review and be totally transparent with other team members (or clients) about the production schedule. Divvy has become like another member of our team; we use it to pass content back and forth (with fewer emails) and seamlessly manager our workloads. Divvy is a newer tool, and a bit glitchy (sometimes content items can disappear or not load correctly), but the staff is responsive and they are working through these issues. As time passes, the tool becomes more and more refined. My team manages a full slate of blog and social content items with Divvy. Our clients and internal team members have enjoyed the visibility and ease of interaction that Divvy offers. "Helpful tool for organizing our team's content"
It's great that DivvyHQ offers the ability to attach all of the assets needed for each post, and to separate out everything by channel. Our community managers can go into Divvy and get everything they need all in one place, and I have the ability to see all of our content laid out in a fully inclusive, interactive calendar. The duplication of posts is time consuming and has too many steps. It would be more helpful to be able to create a post across multiple channels at the same time while adding new content. We don't use the same copy and content at the same time across channels, but there is crossover, and being able to edit a post after the fact is much easier than duplicating an existing one. We have multiple community managers for our different social channels, so keeping everyone organized is now much easier because of this tool. It also provides us with a place to have all of the components for each channel post in one place, so anyone can go in and see what's coming and get what they need. "Calendar feature visually organizes our team"
The calendar feature helps our team to stay organized. We can better visualize all the different elements we manage across multiple departments to fit content items into our schedule. We get more done, and we spend less time comparing our spreadsheet to a separate calendar. Plus, when projects get delayed, they're incredibly easy to move to a later date - and all the accompanying tasks follow nicely along. We're spending a lot less time getting lost in a spreadsheet and more time completing our projects. I've been working in Divvy for over a month now. I've not found a lot of use for the pages other than the calendar and the content editors for our team. I spend most of my time looking at the calendar. I think once i get more into using Divvy I may find more use for those other pages. DivvyHQ helps us by segmenting projects across our organization, keeping the silos in place where they're needed, and also sharing information across departments. We're able to manage our marketing campaigns for each department - scheduling emails, social media, press releases, etc - for an effective and successful result. We can duplicate calendar items, allowing us to save time when projects are repeated each quarter or month. "Divvy HQ - Content Management"
I love the color coding options and ability to organize content by client in a very visual way. There really isn't much about this product that I dislike. Usability, visuals and overall function is great. We are able to more quickly organize, draft and review content pieces in a team setting. DivvyHQ works well for workflow review and approvals. All team members receive email notifications for relevant projects and threaded comments are great. The search is unpredictable, and I find that I don't use it. It's also tough to use for resource management. Instead, I supplement by using Trello for both search and resource allocation. It's manual duplication, but opportunity for future integration. If you need an editorial calendar, I think this tool is helpful. We needed a project collaboration tool. While helpful for workflow, it hasn't solved overall resource allocation snapshots. "Great Workflow Tool, Reporting & Collaboration Abilities Need Work"
Divvy is great at managing workflows and deadlines for each piece of content. Since workflows and processes aren't always the same across all content types, you can customize your workflow for each content type and its process. Even if there are two different processes for the same type of content (e.g., a webinar), Divvy is great at organizing all the steps, processes, and deadlines involved in creating different types of content. If you manage content from contributors, whether from co-workers, external staff, or guest contributors, you have to add those contributors as official "team members" in Divvy if you want to track them in a reasonable way for later querying or exporting. If you don't add them as team members, you have to use "hacks" to get the data you need during export. Also, those contributors can't see all the great custom workflows you created or receive deadline notifications if they aren't official "team members." From a reporting standpoint, Divvy is inadequate. It's not really built for exporting large volumes of data that you can later customize for analysis and reporting. For example, currently there is no way to export all the information that was ever entered into the system; there is no master record of data. So if you've just been hired as a new content marketing manager, you can't use Divvy to see all the content ever published by the company. You have no visibility, essentially. Also, there are times when I've had to export two different views in Divvy and then combine them in Excel to get one robust report. Also, there are only 2 free-text fields that you can include in your export: the content title and content summary field. If I need to add information to a piece of content that isn't the title or summary (so I have it in the export), I have to basically hack the system into letting me do that. Right now I use pipe characters to separate my notes in those fields and then use Text To Columns in Excel once I've exported the data. "DivvyHQ has been very helpful with keeping my team organized and on time." I really like that there are so many filter options in the calendar view. It makes looking at my work load super quick. I wish there was an easier way to tell if there is an attachment on an item. Maybe by using the same numbering system that comments have. I also wish there was versioning and live editing of content pieces. We recently had something get deleted and it would have been nice to go back and see what was there. Also, live editing would allow me to make sure I'm always seeing the most recent content. Sometimes I'm scrolled down to see the content and don't see the message at the top about someone else editing the item. Take time to experiment and learn how to use DivvyHQ properly, it makes a huge difference. Scheduling and distribution of work have been huge with DivvyHQ. We've been able to streamline our process, and get ahead on projects. "Great Way to Manage Team Workload"
Our team loves the calendar feature, and it's great to manage collaboration and establish accountability for individuals collaborating on projects. Great for creating and maintaining version control, digital assets and our editorial calendar. Divvy has been great about adding new features like the URL finished product link, great for organizations whose legal/IT teams don't want to integrate the push-to-publish feature with our other CMS. Wish it was easier to create custom workflows for a preview view of the attachments within a file. Campaigns should be easier to build, would be great for mini calendars to populate with campaign specific content pieces and tasks - namely to give internal clients. "DivvyHQ helps keep content strategies organized! " DivvyHQ has been a great platform to keep all of our team's content organized. By being able to assign content to different members of our team and to plan out our content has been incredibly helpful. DivvyHQ will occasionally glitch sometimes. We use the email notifications to copy check other team member's work and sometimes we don't always get the notifications. As I said before, DivvyHQ has been a great platform to keep all of our team's content organized. Managing content for multiple clients isn't always easy, so being able to track all of it in one place has been incredibly helpful. I'm a visual person so Iove that the calendar view organizes my tasks in visual way. I wish somethings would default to a new tab and that "threads" had better formatting for paragraphs. My company does content marketing so most editors here use it for content management, but I use it as task manager within that framework, which it also works well for. "So much better than spreadsheets"
Being able to see entire content strategy from a very granular level (individual contributor) and a very high level (management). Ability to post directly to social in same tool as you create your schedule and campaigns. Tagging and ability to generate reports of content created. Sometimes slow loading times were an issue. A bit of a learning curve with how to use everything and find everything. Interface not as clean and modern looking as something like CoSchedule. We would have gone live but for timing. We were in a proof of concept trial when a reorg hit, so we had to stop our trial. Content marketing calendar, planning, workflow and scheduling. Benefits are for day-to-day as well as messaging up. Certainly helped with being able to get management to see the overall flow and strategy of when certain content was hitting and why. if you change calendars on a item, the subtasks don't change to match the new calendar - you have to add them manually. "Need more color coding options"
Calendar view, ease of moving items around. Little control over visual cues for tracking. Was not useful for our workflow since we could not fully customize the set production workflow to fit our specific steps. We tried Divvy as a tool to manage our content production/approval workflow with our internal team while keeping the status of each article visible to our client. It was not the ideal tool for this but I imagine it works well in other contexts. "Simple Interface To Get You Setup"
Divvy is great for content creators with teams of 3 or more working in Editorial. Especially if you have been working off of Google Docs to manage tracking and performance. The interface is simple and direct. Would prefer a more flexible dashboard on performance and output that curates all data. And perhaps incorporates design and editing notes or corrections that were needed for review purposes. Use DIvvy to really focus on the content and have them see to the pipeline and workflow. We have solved the issues of pipeline and lead-time as well as workflow and processing. It's great to be able to automate our workflow for different types of content. Every time they do an update, it seems like there is a bug that creeps in. We can assign the different tasks to our different team members and easily see where everyone is with a content item. "Graphic designer on a marketing team"
The number of filter options in the calendar view that lets you customize what you see at any given time. Also the ability to send messages and attach files specifically onto certain projects. In production tasks, there is a number icon on the right indicating how many comments have been left on that item, but there isn't any similar indication for attachments. Also there's no download button for attachments, you have to right click and save. Use this if you have a team that feels like they could use more organization or needs a single place for everything to be planned and managed. It's keeping things archived and organized in one place based on projects and campaigns, so we can easily go back to old projects and see all the content related to it without having to fish through email trying to find the right conversation. "Great for organizing, odd interface at times"
The organization and being able to see everything on one calendar. It's great to see everything on one page and also to share that with our clients. I dislike the approval workflow. There should be an easier way to seek approval from a team member than having to manually send it. Also, the workflow should be automatic. It's a very basic tool. Good for the price, but it has some kinks to work out. We're using Divvy for social and blog content planning and task management. It's great to see everything outlined and it also allows for transparency with our clients. This tool is a tried and true content management tool, works great for passing content between marketing and designers. It's still starting out, a lot of update and potential for this tool. Great for teams with in-house designers and a long approval flow. Collaboration among outbound marketing teams, enforces accountability and deadlines. The ability to have all info for a single piece of content in one place is awesome! The calendar does not help me manage my to do list; I still have to keep a separate to do list. "Once you figure it out it is very easy to use"
How organized every project can be if used correctly. I would love to see an in platform notification system. I often miss comments on things because they are sent to my email in one thread. Organization, and easier to find materials needed. "Awesome great product and service"
"I use DIvvyHQ in my current job for our PR and Social Media calendars." I like that you can see both calendars together or separate them out for just the content you need to see at the moment. I dislike that you can't say something is scheduled and for it to then switch to 'Published' once the scheduled time comes and goes. If you need a calendar that can host all of your campaigns and have multiple users, this is a good option. We are able to have a clear editorial calendar that everyone on our team can access and update as needed. This has made us more organized and on the same page. "Reliable and good customer service"
Shared content options and shared calendar. Great for project development and team connection. There are sometimes software glitches and new updates that may interfere with the process. We are solving a lack of connection and shared content. Often times we are out of the loop with knowing who is working on what and DIVVY helps us establish a project timeline and consistency. "Off to a good start"
"DivvyHQ is an easy tool to use. " The ability to create your own dashboards and views is great, love the filtering options. We work with a team overseas so this allows us access to easy information. "This tool has helped organize our work flow and accountability on projects. " central communication spot that is organized and consolidated. You can see where the project has stalled. "Lots of potential - if only it were mobile-friendly!" The ability to personalize the calendars is useful. The lack of a mobile-friendly website or app. We're using DivvyHQ as both a content management and project management tool. "Kind of glitchy, but overall useful"
The calendar feature is useful, it's great to be able to turn different media (Facebook, blog, Twitter, etc.) on and off and choose what you see. It can be incredibly glitchy and slow. And by "can be" I mean "is usually". Also, there are some navigation things that could have a much better user experience. Like, if I want to move a content item from 9:00 am to 11:00 am, it's like 5 clicks. That should be way easier. I'd shop around. It works well, but it's probably not the best one out there. We're scheduling content. We're making sure everyone's on the same page about what's going up when. "Keep it all in one Place"
Divvy has been a great asset to keeping many different departments aligned on the status of different projects. We have been able to successfully communicate key messages across many different platforms. Sometimes, when quickly switching between tabs it's slow to reload. But that could simply be due to our network connection. With Divvy we are successfully having multiple departments be able to quickly and easily communicate the same message across different platforms. "DivvyHQ for NonProfit Media Calendar"
I like that I can see all of my nonprofit clients on one calendar as well as drilling down to see each category or division that we have set up. I dislike the linear fashion that Divvy calculates Production tasks when trying to setup an auto workflow. Depending on your business, Divvy meets many of the requirements we are looking for and hopefully future tweaks will make it even easier to work with. We are still trying Divvy out but once we have the kinks worked out we will be able to get rid of our current excel spreadsheet calendar and be more interactive. It allowed multiple team members in multiple locations check in, edit, and comment on various projects in a user friendly way. It was cost prohibitive for us. It gets the job done, but the expense gets steep as more users are granted access. It's worth checking out if you have the budget for it and have multiple parties in various locations looking for a way to streamline workflow. Project management. Editorial calendars. General workflow logging, tracking and auditing. I like the calendar view and the ability to easily click and drag items. It's tough to see the "status" of something from just looking at the calendar (labels or color-coding would help). Also, the load time to click into items is slow, and we would like to be able to create an easily customizable workflow 100% from scratch. Coordinating an editorial calendar across two teams. "DivvyHQ has been a joy to use! It's user friendly, easy-to-navigate and keeps me organized." This is very specific, but I really like that I can drag and item from one calendar day to another. I don't have to create another event, for instance. Other platforms would not let me do that. I do not yet dislike any feature of this platform. It's great! Yes, I recommend it if they'd want a platform that is efficient, easy-to-use and would make their lives easier. We needed a way to organize all items in our marketing department, and this platform provided a solution. 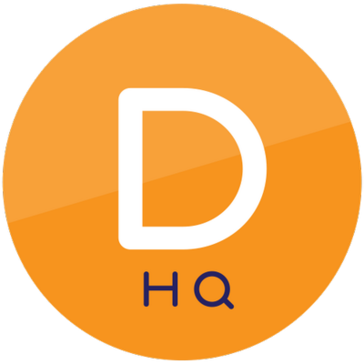 * We monitor all DivvyHQ reviews to prevent fraudulent reviews and keep review quality high. We do not post reviews by company employees or direct competitors. Validated reviews require the user to submit a screenshot of the product containing their user ID, in order to verify a user is an actual user of the product.